Momordica charantia is used primarily as an alternative therapy for lowering blood sugar levels in patients with type 2 diabetes mellitus. 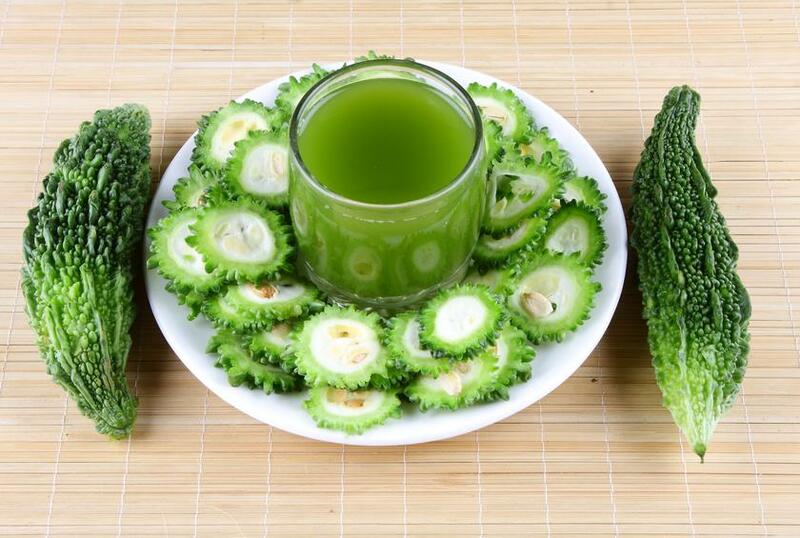 Considerably it is the most potent and popular fruit in terms of managing diabetes through alternative medicine. 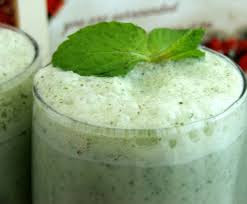 In fact, drinking bitter melon decoctions is a common practice of diabetesmanagement in Asian countries. 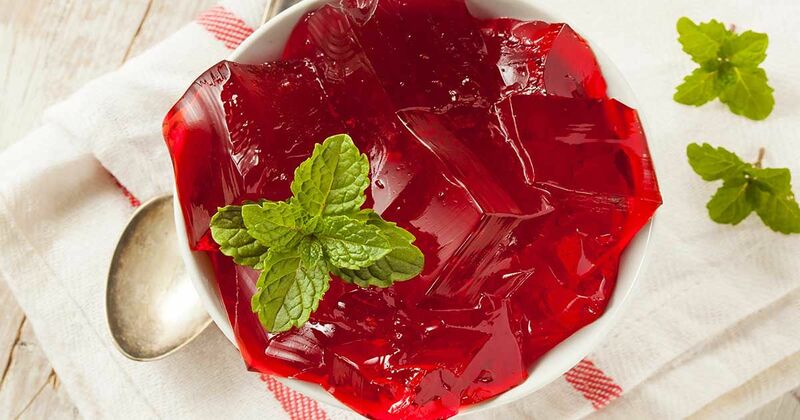 Gelatin is a seemingly innocuous ingredient you are probably most familiar with in your favorite, jiggly dessert: Jell-O. This animal protein (consisting of collagen) is actually used in a lot of products, from makeup to gummy bears. 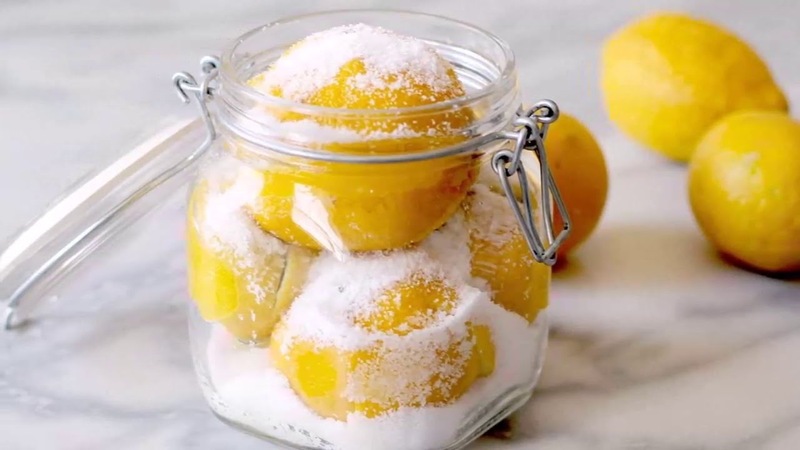 But this versatile ingredient offers a lot more benefits than just keeping your favorite treat gelled, according to Healthy and Natural World. Some researchers believe that the collagen properties of this common ingredient offer a variety of health benefits, particularly for patients with arthritis and other bone and joint problems. According to Healthy and Natural World, the American Academy of Family Physicians discussed a study that indicated that patients with osteoarthritis in their knees who took a gelatin supplement had significant improvement in pain and stiffness. The patients in this study also consumed additional vitamin C. Healthy and Natural World recommends increasing your vitamin C intake in addition to taking a gelatin supplement to achieve maximum results. Gelatin is believed to help ease joint and bone pain because it is made from collagen. This is the same material that makes up cartilage and bone, according to WebMD. In addition, gelatin also contains calcium, magnesium and phosphorus, which can also help strengthen bone, Grass Fed Girl reports. If the word collagen sounds familiar to you, it's probably because many people associate it with cosmetic surgery. Collagen is actually a common ingredient used in anti-aging procedures and fillers. And there's a good reason: Your body produces less collagen as you age, which causes wrinkles. Ingesting collagen is more effective than creams, Grass Fed Girl claims, because the collagen molecules in the creams are too big for your skin to absorb. 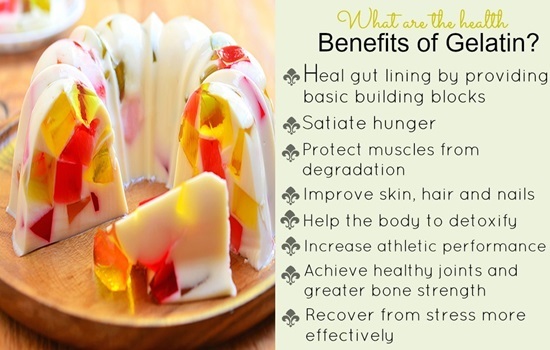 Ease your estrogen overload with a daily dose of gelatin. "Too much estrogen in the body ... can cause inflammation, infertility and promote accelerated aging. The ... seemingly endless benefits of gelatin have anti-estrogenic effects which can help offset the effects of excess estrogen in the body," Wellness Mama reports. Creating a broth from gelatin can help your digestive system work better and keep you regular, according to Wellness Mama. Grass Fed Girl reports that it works as a digestive aid because it contains amino acids that promote the production of digestive juices. If you want to add more gelatin to your diet, there are a few healthy alternatives to noshing on Jell-O and gummy bears (though that kind of diet would be pretty easy to follow ... ). Try a gelatin supplement or an organic bone broth, according to Grass Fed Girl. The mature coconuts are collected regularly for their milk. 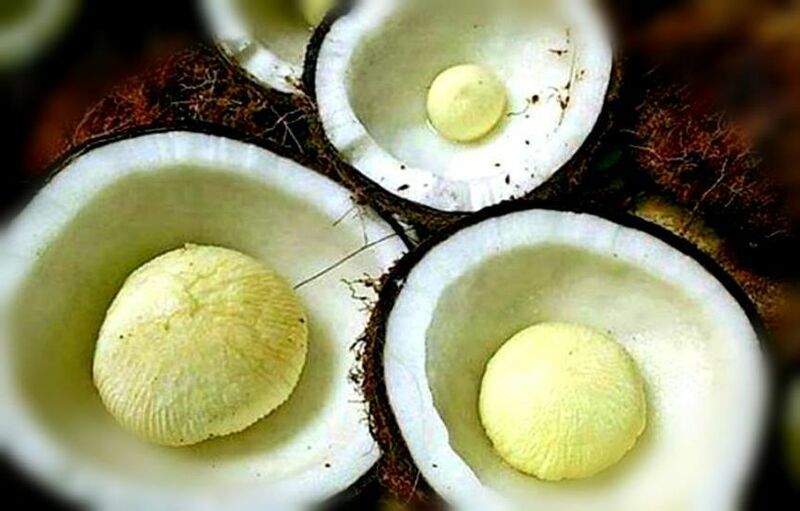 You can usually crack open a coconut for lunch and in the older, mature coconuts you'll sometimes find a soft, spongey type formation on the inside of the coconut. This happens when the coconut is ready to shoot some leaves out and is an edible, soft predecessor. 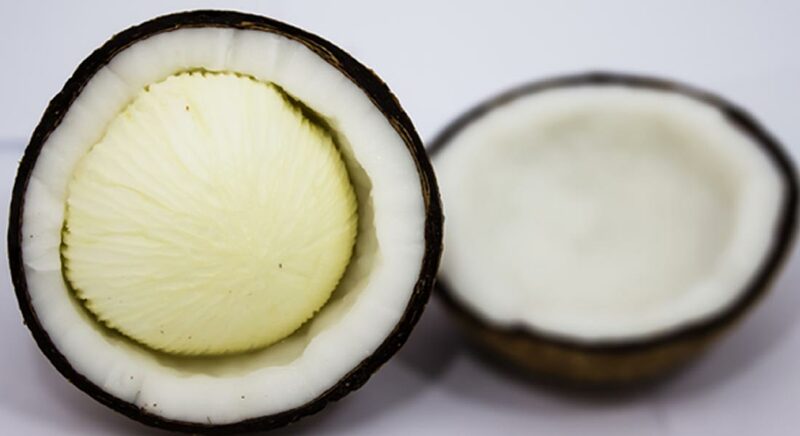 This part is actually the Coconut Cotyledon which is sometimes called the 'Coconut Embryo' or 'Coconut Apple' and is suspended in germination and is generally eaten raw. Samoans call this part of the Coconut O'o, Tongans, Tahitians and Cook Islanders call it 'Uto, Niueans name for it is Niu Tupu, the Fijians call it Vara and Hawaiians refer to it as iho or lolo! We all know that Coconut water and meat are very nutritious so don't underestimate this one! 1. 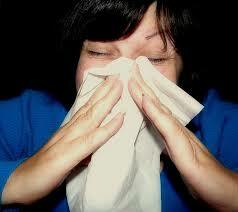 Supports immune system health: it is anti-viral, anti-bacterial, anti-fungal, and anti-parasite. 2. Provides a natural source of quick energy and enhances physical and athletic performance. 3. Improves digestion and absorption of nutrients, vitamins, and minerals. 4. Improves insulin secretion and symptoms associated with diabetes. 5. Helps protect the body from cancers due to insulin reduction, removal of free radicals that cause premature aging and degenerative disease. 6. Reduces risk of heart health and improves good cholesterol (HDL). 7. Restores and supports thyroid function. 8. Helps protect against kidney disease and bladder infection. 10. Helps keep hair and skin healthy and youthful looking, prevents wrinkles, sagging skin, age spots, and provides sun protection. The beginning of September signals that fall is on its way, along with leaves, and... okra? The exotic medicinal and culinary vegetable (available year-round), is best to get in early fall when crops in Southern states reach their peak. Typically, okra is used as a thickening agent in soups like gumbo because of its ooey-gooey texture, but it can double as a nutritional powerhouse filled with vitamins, minerals, and other nutrients that provide an array of health benefits from treating diabetes to preventing kidney disease. Consuming even small amounts of fruits or vegetables rich in vitamin C, like okra (21 milligrams per cup), can alleviate asthma symptoms. A 2000 study published in the journal Thorax found the intake of citrus or kiwi fruits conferred a highly protective effect against wheezing symptoms in childhood. The protective effect was seen even among children who ate fruit only one to two times per week. The researchers found this to be especially true among already susceptible patients. Okra not only promotes good digestive health, but also good cholesterol levels due to its high fiber content. Soluble fiber can be dissolved in water, which means that it breaks down in the digestive tract. There, it also binds to cholesterol in other foods so that it can be excreted along with other wastes. In turn, total cholesterol levels plummet, according to the Harvard Health Publications. 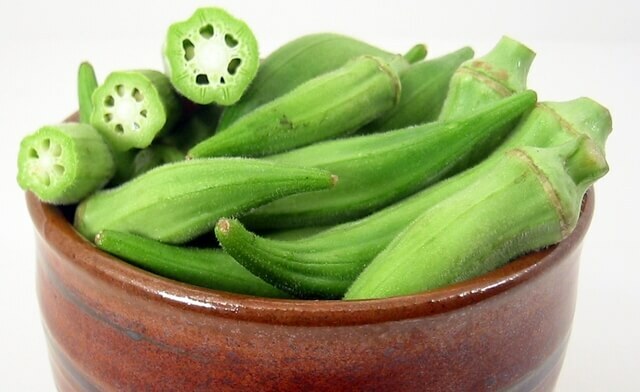 Okra also helps to lower cholesterol by replacing all the foods you eat with high fat and cholesterol levels — okra contains no cholesterol and very little fat. 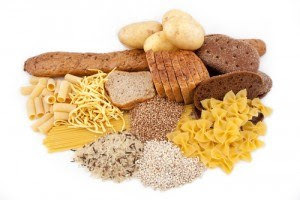 Soluble fiber can help diabetics because of its ability to keep blood glucose levels stable — it affects how sugar is absorbed in the intestines. In a 2011 study published in the journal ISRN Pharmaceutics, researchers soaked sliced okra pods in water and then gave rats the solution through a gastric feeding tube — a control group wasn't fed this solution. The researchers found okra helped reduce the absorption rate of glucose and in turn reduced blood sugar levels in the treated rats. Okra’s rich vitamin C content and antioxidant components also double as decent immune boosters against unsafe free radicals, while also supporting the immune system. Vitamin C stimulates the immune system to create more white blood cells, which can help battle other foreign pathogens and materials in the body. Regularly eating okra can be helpful for preventing kidney disease. 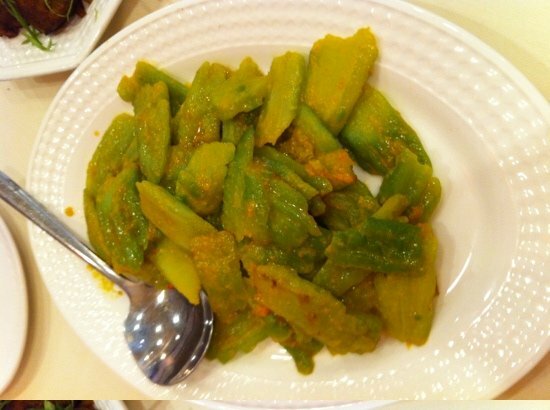 A 2005 study published in the Jilin Medical Journal found patients who ate okra daily reduced clinical signs of kidney damage more than those who were on a diabetic diet. This is helpful since nearly half of kidney disease cases develop from diabetes. Okra’s high levels of vitamin A, B vitamins (B1, B2, B6), and vitamin C, and traces of zinc and calcium, make it an ideal vegetable to eat during pregnancy. 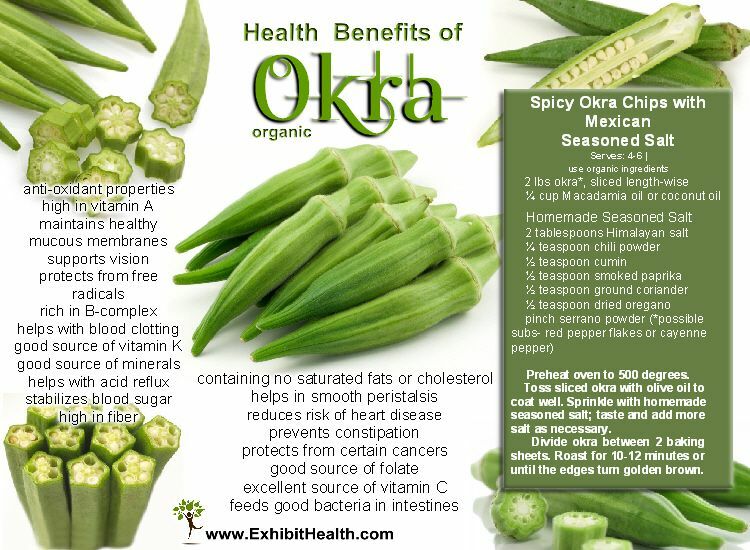 Okra also serves as a supplement for fiber and folic acid. This helps prevent birth defects like spina bifida and can even stop constipation during pregnancy. Help lower dangerous cholesterol levels with bitter melon. Reducing cholesterol significantly reduces heart attack, heart disease, and stroke. 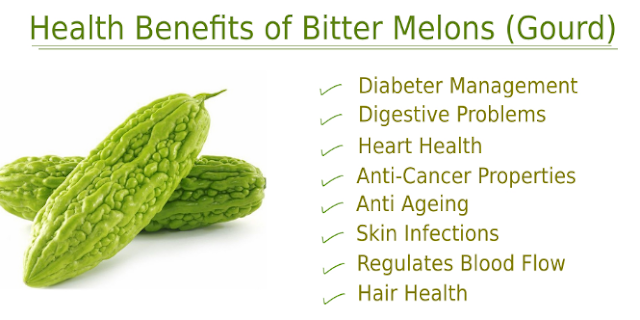 The added benefit is that bitter melon is completely natural in working with the body to prevent these health risks. 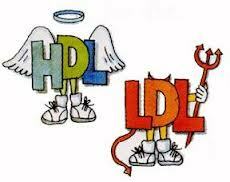 High cholesterol can only be diagnosed with a blood test. Try Bitter Melon Delightto reap the reward of this surprising health benefit. Foods or drink taken from this melon benefit the skin. Taken regularly, bitter melon is said to have a “glowing” effect on the skin and is helpful in treating acne, psoriasis, and eczema. Experience natural and soothing relief with bitter melon. Try bitter melon soupfor relief of any of these skin conditions or for more beautiful skin. 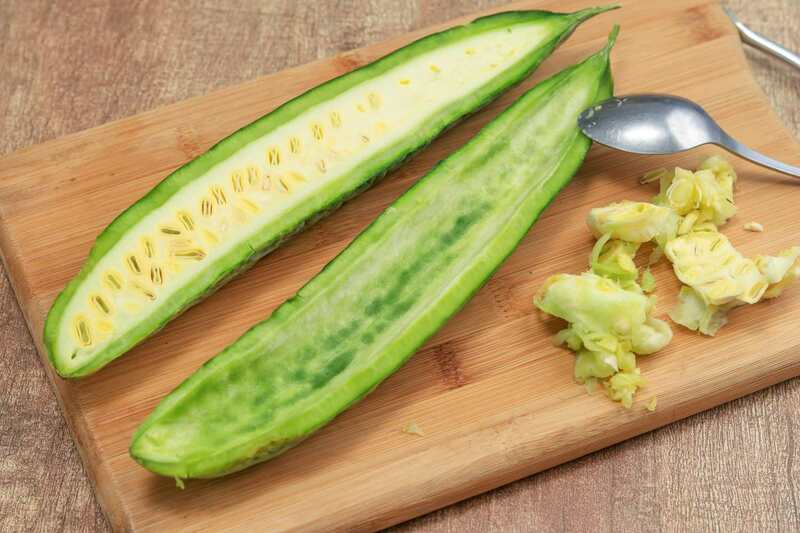 An added benefit is that bitter melon is a blood-purifying agent. Modern people sit too much. Our bodies were not designed to be sitting all day long. In the standing vs sitting debate, this much is obvious. Sitting all day in the same position puts you at some level of health risk. But how much better is standing vs sitting really? 1. Standing reduces risk of weight gain and obesity. Your body better able to burn more calories when you are standing vs sitting. 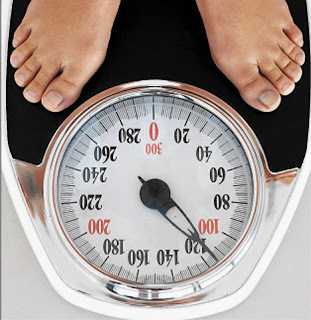 A sedentary lifestyle, where you are spend most of your time sitting, invariably leads to weight gain and obesity. A recent study published by the Mayo Clinic reveals that standing for at least six hours throughout the day significantly decreases the probability of obesity in both men and women. The study used three measures to assess over 7,000 adults: body mass index, body fat percentage, and waist circumference. 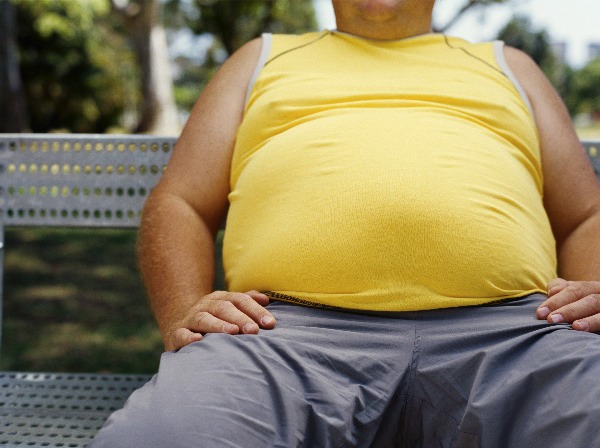 The researchers found that men who stood up for at least six hours per day had a 59% reduced likelihood of obesity. For women, standing for at least six hours a day was linked to 35% reduced chance of obesity. 2. Standing vs sitting lowers risk of heart disease. Choosing to stand rather than sit lowers blood sugar and cholesterol, and keeps weight off—all of which decreases your risk for heart disease. Researchers in Australia found that standing helps increase your “good” HDL cholesterol and decrease your “bad” LDL cholesterol levels. Trading standing for sitting for an extra two hours per day was associated with a 2% lower average fasting blood sugar level in both men and women, and an 11% lower average level of triglycerides. Standing for the extra time was also shown to improve HDL cholesterol by 0.06 mmol/L and lower LDL cholesterol by 6%. In fact, every two hours that is spent sitting each day was associated with increased weight and waist size and increased levels of blood sugar and bad cholesterol. Not surprisingly, time spent walking instead of sitting had a reverse effect. However, simply substituting two hours of standing for sitting improved blood sugar and cholesterol levels. 3. Standing helps lower risk of type 2 diabetes and other metabolic diseases. According to the American Diabetes Association, breaking up your time of prolonged sitting by standing up on a regular basis, or even just walking for five minutes, can reduce blood sugar levels by 34%, especially in postmenopausal women. In this study, 22 overweight, dysglycemic, postmenopausal women either participated in prolonged, unbroken sitting for 7.5 hours, or prolonged sitting that was broken up with either standing or light-intensity walking. For the second day of the study, all participants underwent the 7.5-hour prolonged sitting protocol. Compared to only sitting, both standing and walking significantly reduced the average blood glucose levels and insulin levels in the women. 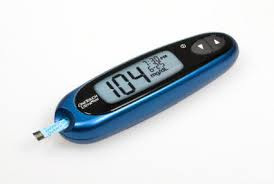 The effects on glucose for the women standing and walking, and on insulin for those walking, continued into the following day. This study helps show that breaking up prolonged sitting with short periods of standing or walking helps reduce postprandial glucose and insulin levels in women who are at a high risk of type 2 diabetes. 4. Standing lowers long-term mortality risk. Research shows that not only can living a sedentary life lead to diabetes and heart disease, it can also lead to death. One study even suggests that you can raise average life expectancy by two years by simply reducing your daily sitting time to three hours. 5. Standing helps reduce the risk of cancer. According to the American Institute for Cancer Research, almost 50,000 cases of breast cancer and over 40,000 cases of colon cancer each year are caused by inactivity. Prolonged sitting, even by people who exercise on a regular basis, also increases the risk for cancer. Standing up throughout the day gets your circulation moving and reduces inflammation and other markers that raise cancer risk. Prolonged sitting is considered to be one of the largest cancer risk factors. Engaging in short bouts of activity such as standing and walking about can help protect against many cancers. 6. Standing can help ease or reduce chronic back pain. According to a Stanford University back pain study, workers who used sit-stand desks instead of regular desks while working were more likely to report a pain-free day. During this study, 46 participants received a sit-stand workstation either at the beginning or the end of the three-month trial. At the end of each workday, participants completed a short survey. Following weeks 1, 6, and 12, participants filled out comprehensive surveys. The surveys had a modified brief pain inventory and the Roland Morris Disability Questionnaire, which is designed to self-assess one's physical disability that is caused by low back pain. This study found that participants who were given a sit-stand workstation reported having a significant reduction in both their current and worst lower back pain over the three-month period. Another study also reports that transitioning from a seated to a standing position every 30 minutes during the workday can significantly reduce fatigue levels and lower back discomfort in overweight/obese office workers. For this study, overweight/obese office workers went through two five-day experimental conditions. The participants performed their typical occupational tasks for eight hours each day in either a seated work posture, or alternating between standing and sitting every 30 minutes. Self-administered questionnaires were then given to measure fatigue, musculoskeletal discomfort, and work productivity on the fifth day of each experimental condition. Participants in this study reported having a significantly higher total fatigue score when they sat for the entire eight-hour day compared with when they alternated between sitting and standing. Lower back musculoskeletal pain was significantly reduced when participants alternated between sitting and standing as well. Additionally, the overall productivity of the workers increased while they were able to sit and stand. 7. Standing helps increase energy levels and improve mood. Standing while working improves collaboration and encourages creativity. 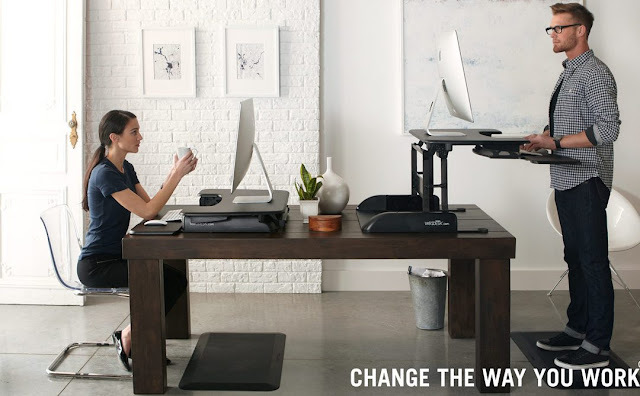 In fact, workers who use standing desks report less stress and fatigue than those who don’t. In a seven-week long study, 24 participants received sit-stand devices designed to fit their workstations, while others did not. Using experience-sampling methods to monitor sitting behavior helped the researchers estimate change scores in sitting time, health risk factors, mood, and other office behaviors on the basis of the survey responses. This project reduced the time that workers spent sitting by 224%, reduced upper back and neck pain by 54%, and improved people's moods. Additionally, once the device was removed, all of the observed improvements were negated within two weeks. 8. 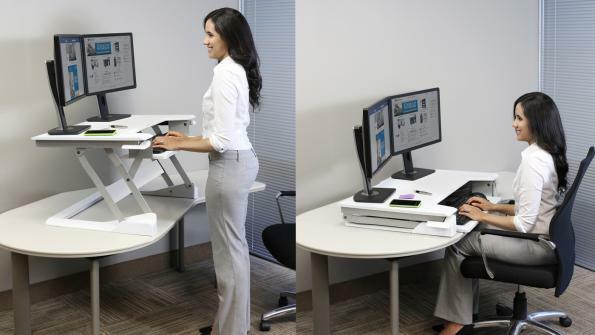 Standing while working boosts productivity. In one study, call center agents who used a stand-capable desk over six months were found to be more productive than those who used regular desks. A comparison analysis was completed using a group of people using stand-capable desks and a group of people who remained seated throughout the day. The results showed that users of stand-capable desks were about 45% more productive each day compared to their seated colleagues. 9. Standing while working helps tone muscles. Standing while working helps strengthen your core muscles and leg, ankle, and foot muscles. It also helps improve your posture and balance. Standing with good posture is a great way to strengthen and tone your body. To ensure you have correct posture, stand up straight and center your feet below your hips. Tuck in your tailbone, push your shoulders back, and straighten your neck so you are holding your head up high. This will help tone your core muscles, and can even raise your metabolism. With the one simple change of getting up throughout the day or doing as much of your work standing as possible, you can immensely benefit your health. Standing and walking throughout the day is an easy addition to your health regimen that won't cost you any time or money. Could sofas and chairs be bad for your health? New research suggests that as time spent sitting goes up, so does a person's odds for type 2 diabetes. Telling people to avoid sitting might even be more effective in staving off diabetes than exhorting them to exercise more, the British researchers said. Patients are typically advised to do moderate-to-vigorous exercise for at least 150 minutes a week to stay fit and avoid obesity and diabetes. But the findings from two studies suggest that reducing sitting time by 90 minutes a day could provide important health benefits. 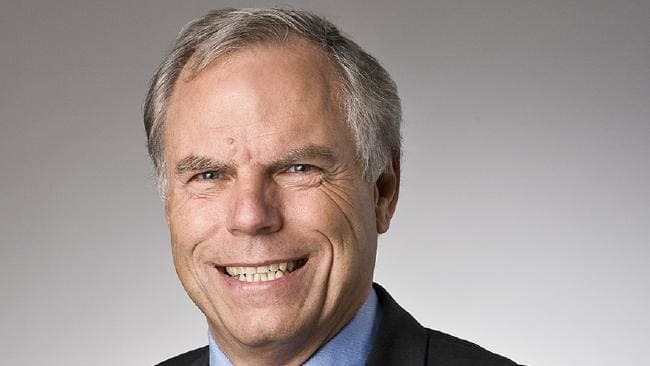 Targeting the hours people typically spend sitting at home or at work might be a useful strategy in combating the diabetes epidemic, lead researcher leader Joseph Henson, of the University of Leicester, said in a journal news release. "Moreover, sedentary time occupies large portions of the day," unlike that typically devoted to exercise, Henson added. The research involved two studies encompassing 153 adults. One involved adults averaging 33 years of age, while the other involved older adults averaging age 65. In each study, the researchers compared time spent sitting or sedentary, as well as the amount of time engaged in moderate-to-vigorous exercise, against risk factors for diabetes. The researchers found that time spent sitting was significantly linked to higher blood sugar and cholesterol levels, and other heart and diabetes risk factors, even after compensating for the amount of time spent exercising and the amount of body fat. The findings can't prove a cause-and-effect relationship between sitting and diabetes. However, Henson said they do raise questions about what doctors should tell patients at high risk for diabetes. "Diabetes and cardiovascular prevention programmes concentrating solely on [exercise] may overlook an area that is of fundamental importance to cardiometabolic health," Henson said. Asking people to exercise more may help, but "such interventions may be more effective still if individuals are further encouraged to simply sit less and move more," he said. YOU survived the ice bucket challenge now scientists want you to pour something hot over your head — your latte. This is because coffee has emerged as the latest cure for baldness. Sadly for coffee aficionados, consuming the brew as a drink won’t save your receding locks. You’ve got to rub the stuff directly into your head. If you find the idea repellent it’s a step up from traditional baldness remedies like the Ancient Egyptian’s hippopotamus fat, Hippocrates’ pigeon droppings and the ultimate — castration. 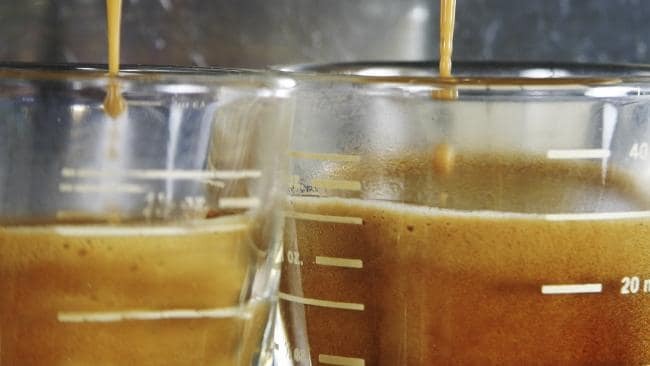 In Australia to promote the caffeine cure Dr Wolff Company’s Dr Adolf Klenk says scientists got interested in the power of coffee to promote hair growth when it was banned by the sports doping agency until 2004. “We knew caffeine could penetrate the hair roots and we knew it was on the anti-doping list,” he said. Hair requires a lot of energy during its growth phase and caffeine delivers energy, the anti- doping listing was proof says Dr Klenk. Recent research published in the British Journal of Dermatology added to the evidence for caffeine as a treatment for baldness. Carried out at Germany’s University of Lubeck the study was funded by a basic research grant from the Dr. Kurt Wolff company. 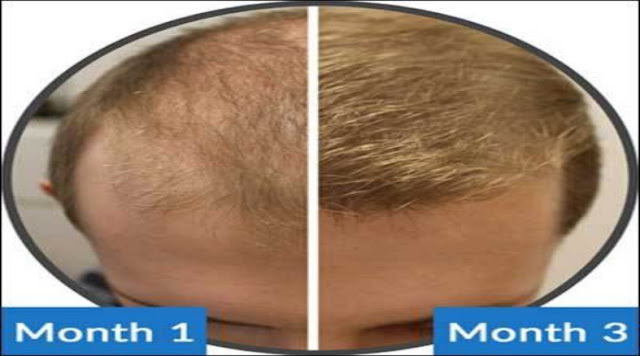 It found when you treated an extract a human hair organ from a person’s head and treated it with testosterone and caffeine in a test tube the caffeine made the hair grow faster. 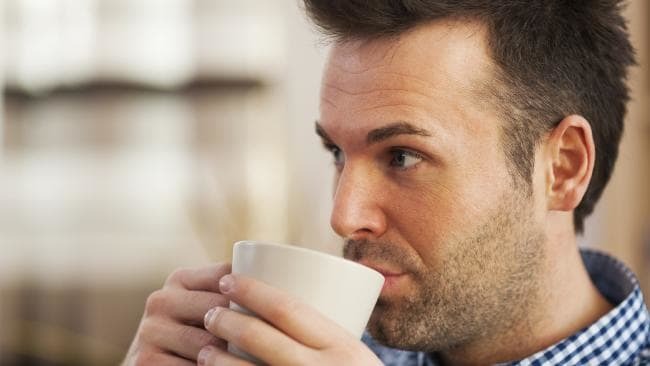 More particularly caffeine worked to counteract the effect of testosterone in causing baldness. 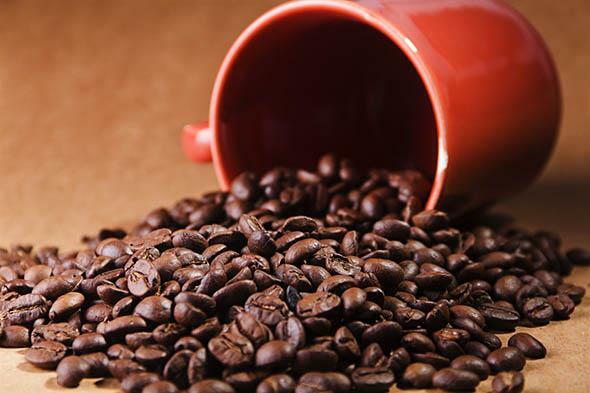 “This study reveals new growth-promoting effects of caffeine on human hair follicles in subjects of both sexes at different levels (molecular, cellular and organ),” the authors found. Dr Klenk says you could try drinking enough coffee to generate the same effect but you’d need to consume 40-50 cups a day, every day. “It would be toxic to drink 50 cups of coffee a day,” he says. This is why scientists have made a shampoo from concentrated caffeine. Dr Klenk claims if you wash your hair with it your hair loss will fall by 20 per cent. It’s no good if you’ve already lost your hair. “When a guy is bald it’s really too late, if the hair root is dead and you can’t revitalise it,” says Dr Klenk. Instead, he says people should determine as early as possible if they are going bald. Men over the age of 18 should comb their hair over the bathroom sink and count the hair that falls out. “If it’s over 50 per day you could be going bald,” he says. Using the caffeine shampoo from an early age will help keep the hair roots active and growing hair. The treatment also works in women, he says. These benefits of kimchi are helpful to persuade you in finally giving this spicy fermented napa cabbage a try. 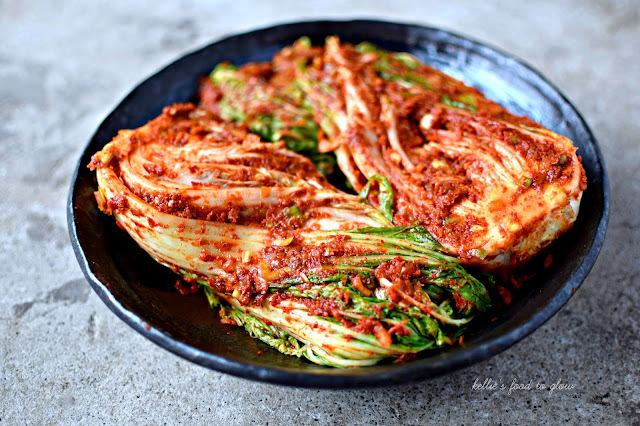 Kimchi is eaten by Koreans so much this food is often seen in Korean movies and television shows alike. In fact, did you know as a tribute to this vegetable, locals often say “kimchi” instead of “cheese” whenever they have pictures taken? Because kimchi is fermented, like yogurt, it contains “healthy bacteria” called lactobacilli that aids in the digestion process of your body. Another amazing by-product of its fermentation process are the probiotics can also fight off various infections in your body. If you’re suffering from high blood pressure or a high cholesterol amount in your blood, don’t fret. The garlic found in kimchi contains allicin and selenium – both of which are helpful in decreasing the cholesterol reserves of the body. In addition, these substances also indirectly help you prevent chances of developing stroke or other cardiovascular diseases of any kind, due to its prevention of plaque build-up in the walls of your arteries. A 100-gram serving of kimchi has 18% of the daily value of vitamin A, if we consider the 2,000-calorie per day diet. Aside from vitamin A being an antioxidant which can help get rid of free radicals in your body that cause cancer, the benefits of kimchi are not limited to this only. This same vitamin A is significant in developing a healthy body, including in embryos; it’s also helpful in the maintenance of clear and healthy eyesight. 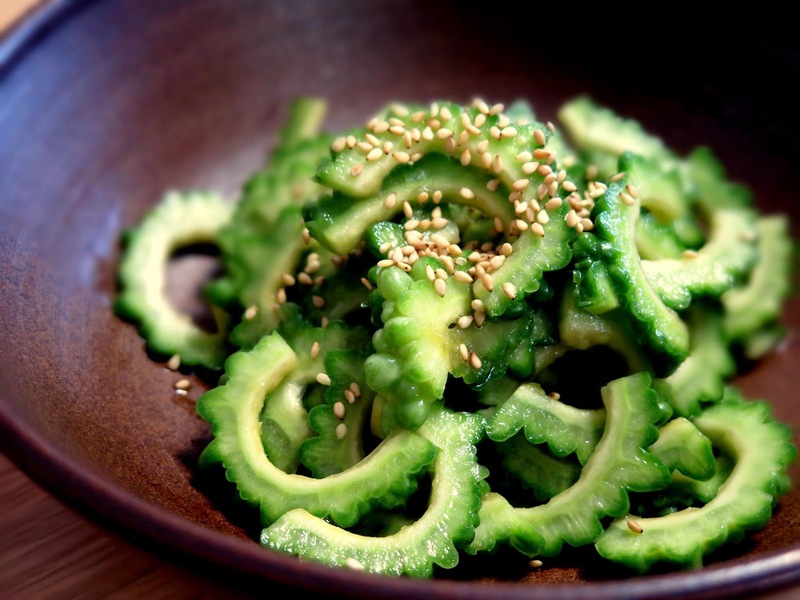 Kimchi doesn’t just make your inner beauty shine through – it makes your outer appearance appear excellent as well. Because the selenium found in garlic in kimchi keeps your skin and hair healthy, eating kimchi helps you prevent wrinkles in the long run. Also, selenium is a relevant part of glutathione, a booster that reconstitutes vitamin C and preserves it, thereby making it stronger and more effective in the body. Professor Miri Kim of the Food Nutrition Department in Chungnam National University discovered Chinese cabbage and radish found in kimchi contain bio-chemicals such as isocyanate and sulfide helpful in detoxifying heavy metals found in your liver, small intestine and kidney. These bio-chemicals, particularly isocyanate, are studied to be able to prevent stomach cancer as well. Ever wondered why Koreans look young for their age? This is just one of the many benefits of kimchi you can consider: kimchi, after two weeks of being fermented, is rich in anti-oxidants which decrease the rate of aging of the skin. It also inhibits cell oxidation, making you look carefree and relaxed, even though you’re under a lot of stress. 150 grams of kimchi contains only 40 calories. But it’s not limited to this – kimchi helps carbohydrate metabolism to aid you in losing weight. Additionally, the capsaicin found in chili peppers in this Korean dish boosts your metabolism and makes you use the excess energy in your body, thereby increasing weight loss. Peptic ulcer is commonly caused by Helicobacter pylori, a Gram-negative bacteria found in the stomach. How can we stop its growth? By eating kimchi. Kimchi contains leuconostoc mensenteroides which produce dextrin, a substance important to stop the growth of H. pylori in your body! Professor Rina Yu of the Food and Nutrition Department in the University of Ulsan found out kimchi causes the immune cells to be more active and the antibodies to be more abundant. 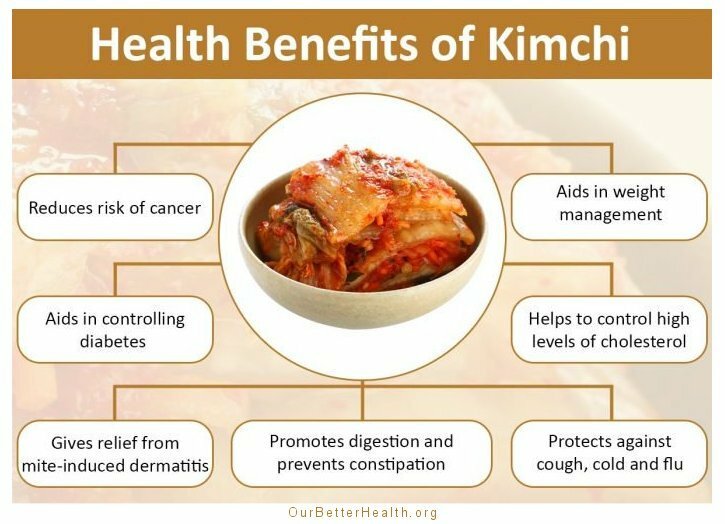 Eating a high cholesterol diet can give 55% immune cell activity, a normal diet can give 68% but a high cholesterol diet plus kimchi can give 75%. 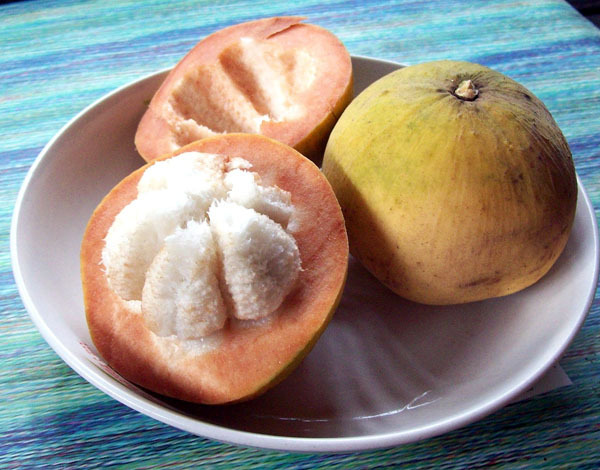 Cottonfruit is a tropical fruit native in Southeast Asia. With the scientific name Sandoricum koetjape, it is believed that the fruit is native to Peninsular Malaysia and former Indochina. Its pulp is eaten raw and plain, though spices can be added. Also, it has several benefits to health. Cottonfruit is rich in vitamins and minerals. According to 2beingfit, the fruit contains vitamins B and C. Vitamin B is essential for brain function, which includes learning, thinking, and memory while vitamin C is well known for its ability to boost the body’s defenses against sickness-causing germs. Also, vitamin C promotes the function of the substance called collagen, which acts as cement and binds together loosely connected cells and tissues. This is a reason why some people use collagen; the substance can preserve the skin’s elasticity, preventing it from sagging and aging. In terms of minerals, cottonfruit contains iron, phosphorus, and calcium, which are vital in blood oxygenation and bone health. Calcium also aids in proper heart contraction; thus, it helps prevent irregular heartbeat or arrhythmia, which is dangerous to the cardiovascular health. Cottonfruit also promotes muscle and nerve health. According to Vegetafruit, the fruit also contains potassium, which is the most vital element in the human body. As per the publication, it helps maintain the body’s homeostasis or normal condition, such as the muscle-nerve action. Thus, the mineral contributes to proper muscle contractility, which also includes the heart. 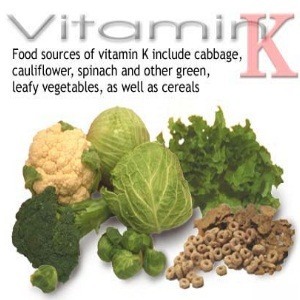 With lack of potassium, the muscles are weaker; thus, movement is affected and might lead a person to injury. Cottonfruit can also prevent diabetes. According to All About Diabetes, the fruit has low glycemic index and is rich in fiber. This means prevention in the sudden rise and fall of the sugar levels in the blood while fiber helps in the digestive process and elimination of unwanted materials from the body, including toxins and free radicals, which cause cancer. 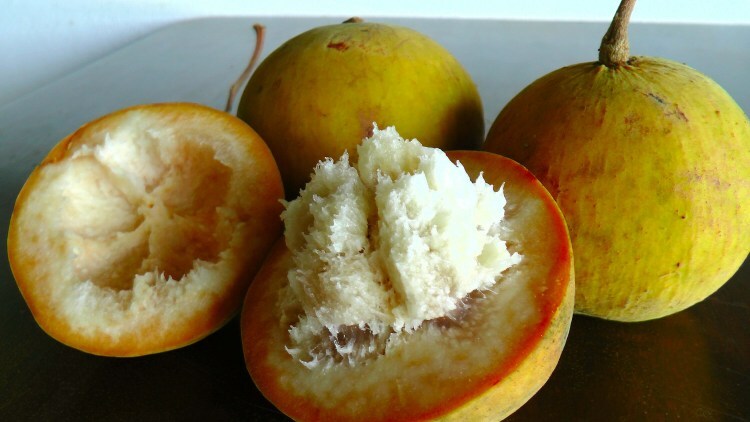 As per the publication, the fruit’s pulp is also rich in bryonic acid and sandorium acid, which help in allergy prevention. 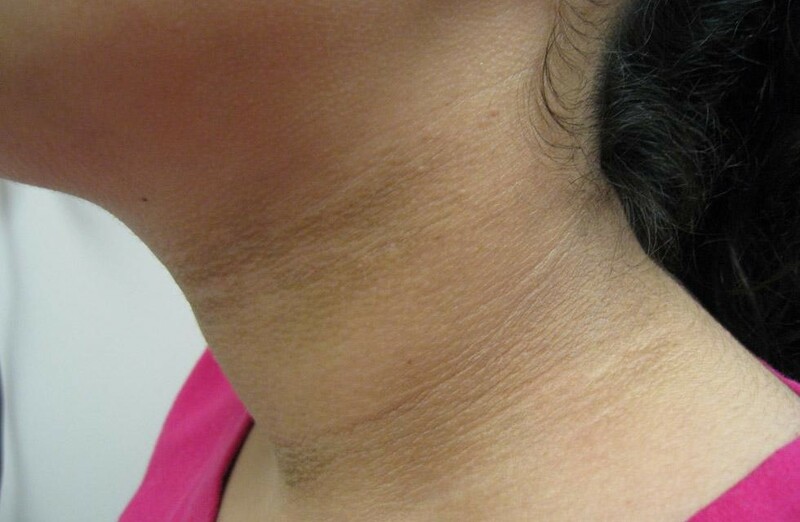 In line with diabetes, both prevent people with diabetes from developing allergic skin. Thus, it will prevent them from scratching the skin, which avoids wounds and potential infection. Aesthetically, the fruit also has astringent properties that promotes the skin’s youth. Cottonfruit can be added in wide variety of dishes in the Orient and an example is Cottonfruit and Coconut Milk. The ingredients include 400 grams cottonfruit (peeled, seeded, chopped finely), one-fourth kilogram cube slide pork, one tablespoon cooking oil, two tablespoons crushed garlic, half cup of sliced onions, two pieces shrimp broth cube, one and a half pure cup coconut milk, half cup coconut cream (optional), and three pieces chili. To prepare the dish, the chopped cottonfruit is soaked in salted water for at least 30 minutes. Then, it is drained and squeezed dry. Next, oil is heated and garlic and onion are sauteed until they become limp. After that, pork, and shrimp broth cubes are stirred in and cooked for three minutes until they change their color. Once done, the cottonfruit is added and cooked for five minutes. Then, the coconut milk is poured and simmered over low heat for 15 minutes or until almost dry. Finally, the coconut cream and chili are poured and the dish is cooked until the cottonfruit is soft. Overall, cottonfruit is packed with various health benefits, despite its sour taste. Its inclusion to menu plans aim to boost the health and wellness of people and families. We are living in an environment that exposes us to toxins everyday. It is in our food, our water, our air, the clothes we wear, and the products we use. It is difficult to protect yourself from all of these hazards, but it isn’t impossible. By being particular with what we put into our bodies and what we expose ourselves to can do a great deal for our health. But sometimes we are overpowered by these outside influences and we fall ill. That is when we trust our body to get us back to health through natural healing. But what happens when our body can’t look after itself? What do we do then? Our livers are responsible for cleansing our bodies of toxins that have the potential to make us very ill. It detoxifies our blood from toxins, drugs, and alcohol. It stores vitamins and minerals, and converts stored sugar into usable energy for our body. It produces bile that helps digest fats, breaks down hemoglobin, insulin, and other hormones, and destroy old red blood cells. With so many important functions that keep our body running at it’s highest level, when our liver is sick we feel it everywhere. We get nauseous, we can’t eat, we lose weight at an unhealthy rate, we essentially break down. We need to keep our liver healthy so that we can be healthy as a whole. One for all and all for one is the motto we should adopt when it comes to our health and our organs. 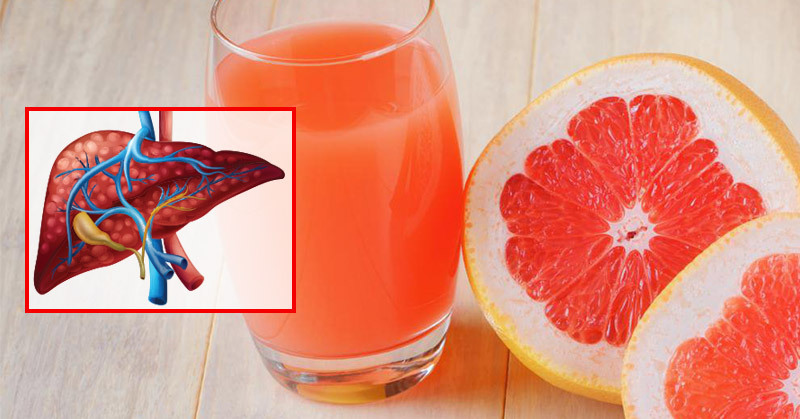 Here are the best foods to help cleanse and heal an unhealthy liver. Carrots are rich in glutathione, a protein that helps detoxify the liver. Both are extremely high in flavonoids and beta-carotene. Eating beets and carrots can help stimulate and improve overall liver function. Dry drinking plenty of raw juices with beets and carrots. Tomatoes are high in glutathione which we know is a great detoxifier for the liver. It also contains lycopene which will protect against breast, skin, and lung cancer. 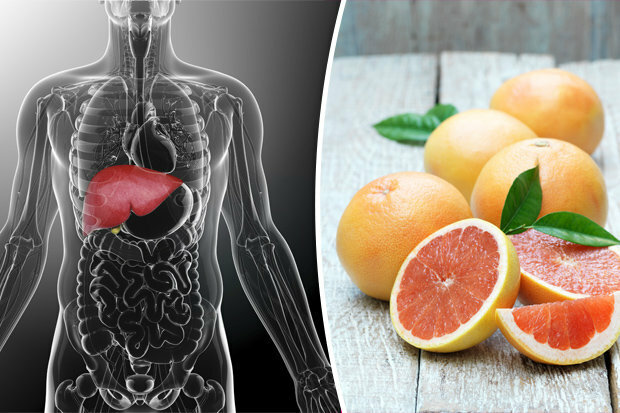 Another source of glutathione it is also high in vitamin C and antioxidants, which boost the production of liver detoxification enzymes and increase the liver’s natural cleansing process. 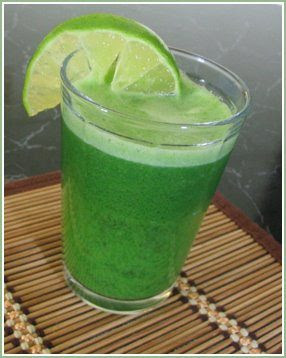 Raw spinach is another major source of glutathione, triggering the toxin cleansing enzymes of the liver. It’s easy to cook, and also great in soup. 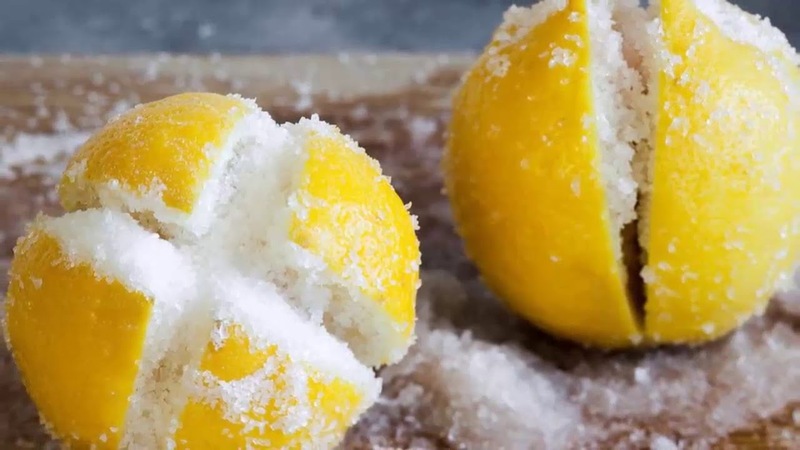 Lemons and limes contain very high amounts of vitamin C, which stimulates the liver and aids the synthesizing of toxic materials into substances that can be absorbed by water. The isothiocyanates (ITCs) made from cabbage’s glucosinolates provides the liver with detoxifying enzymes that help flush out toxins. Turmeric is one of the most potent natural healers and the liver’s favorite spice. It helps boost liver detox by assisting enzymes that actively flush out dietary carcinogens. Walnuts are not only a good source of glutathione but also omega-3 fatty acids, and the amino acid arginine, which supports normal liver cleansing function, especially when detoxifying ammonia. A nutrient-dense superfood, avocado helps the body produce glutathione as well as a source of the healthy fatty acid, omega-3. Apples are high in pectin and other chemicals essential to cleansing and releasing toxins from the digestive tract. They make it easier for the liver to handle higher amounts of toxins during the cleansing process. These 10 foods listed here are some of the most powerful foods you can eat to help heal your liver, but they aren’t the only foods to eat. Here is a more extensive list of foods to eat that can all be easily included in your diet and should be made a priority on your plate when healing your body. 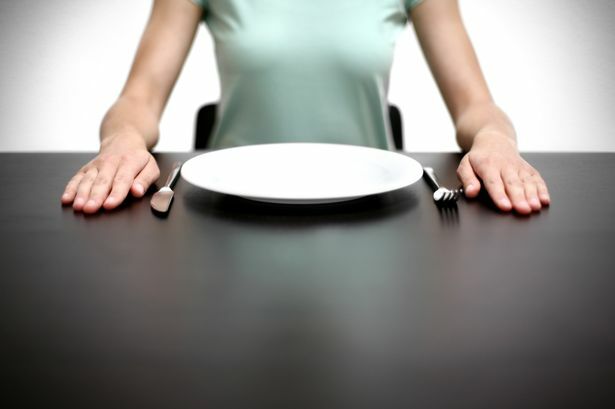 University of Southern California – According to a study done by USC scientists at the University of California, fasting for three days can have a significant improvement in your body’s health. The six-month study was done on both mice and human’s who are currently going through chemotherapy noticed a significant improvement in their health as the white blood cells and other toxins in the body were flushed out over the course of the fast. Basically, when you fast for a prolonged amount of time, your body uses the stored glucose, fats and produce ketone bodies that are especially good for your brain, to keep you going and you flush out anything that your body doesn’t need, like damaged cells and toxins. When your eating regularly harmful toxins in the body can attach themselves to these fats and live on but when you fast, your body is forced to lighten itself. Further research is needed to discover how the rest of the organs in the body are affected beyond stem cell regeneration. At least we know for now, for people that go through the extremely taxing experience of chemotherapy, prolonged fasting can help your body get back to normal, and possibly even better than before.